First impressions are important. When you walk through the doors of Access Church, you’ll be greeted with a clean and comfortable facility. Every detail has been discussed and addressed to make sure nothing distracts from the actual reason for attending. Let’s be honest, it is often no small feat to get out the door, fight traffic, and enter the building with a smile. Chaos reins in everyday life. We make sure you’re not greeted with chaos here at Access. This doesn’t happen automatically, though. There are individuals who commit time to making sure every detail is cared for. We are honored to introduce you to the newest team member in this area of ministry, our facilities director, Troy Youse. Troy and his wife, Stacey, started attending Access several years ago after the birth of their first child. They were immediately drawn to the children’s environment and programming. They felt it would be a great place for their family to grow and learn more about God. 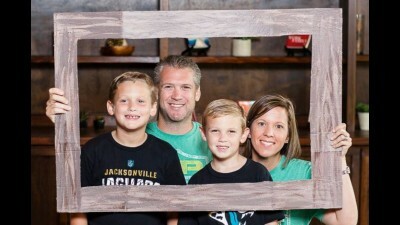 Their family later grew with the addition of another son, and Troy and Stacey found their niche in UpStreet serving as small-group leaders. They especially love this area of Strategic Service because it has given them a wonderful outlet to share their stories of faith. Troy is excited about being part of the Access team. He loves being part of a group that genuinely cares for the churched as well as those who are disconnected from church. He will help create and maintain a wonderful environment and lead teams of people who are interested in being part of the same ministry. First impressions at Access are important to Troy because he believes they pave the way for people to build relationships with God. That’s his true reason for taking on this new role. Please join us in welcoming Troy to our team! So excited to see your beautiful family on the weekly Access update, Troy. Thanks for taking over the reigns. Please let Mike and I know if there is anything you need from us. We look forward to working with you!